Parents and carers of children with disabilities or illnesses can have difficulty accessing legal advice and often have a particular range of legal needs. 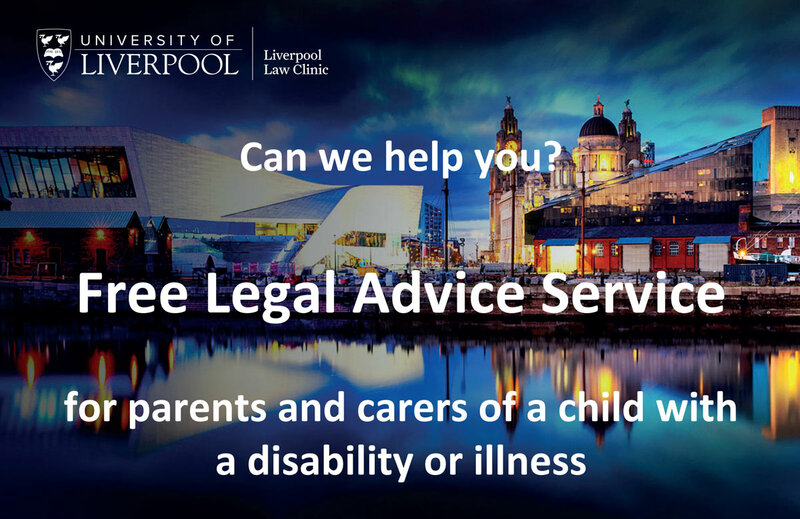 The Liverpool Law Clinic can offer a one-off appointment with their in-house solicitor, supported by students, followed by a letter of advice on a range of issues impacting on your child’s quality of life. This service is limited to the advice and support given at the appointment in the clinic and one follow-up letter. They cannot offer you further appointments or do any further work on your case. If they think that there is another organisation that can help you further with your case, they will tell you. If they think that you might be eligible for legal aid, they will discuss this with you and provide you with information about where to go for further help with this. To find out more, download the flyer below.